5 Stunning Flower Combinations for Your Garden - Legends Landscape Supply Inc. Some of you might be thinking about doing something different with your garden this year. Or perhaps you’re creating a new overall landscape design. Regardless of what your motive may be, a garden can play an important role in the aesthetic of your property and overall landscape. Once you’ve decided where your garden is going to grow, it’s time to choose which flowers and greenery you’d like to plant. There are a few factors to take into consideration whilst planning a garden, keep reading to get started! Once you’ve picked a spot for your garden to grow, the next step is to prepare the area. 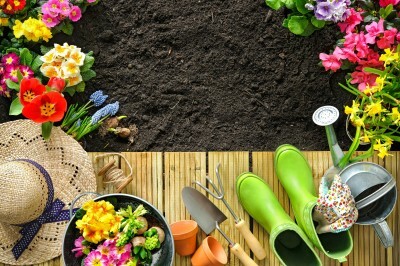 You’ll want to include the right soil, mulch or aggregate for the kind of garden you’re planting. Adding garden edging can help enhance the overall look, provide added protection for your plants and nearby features, and keep your garden contained. While planning the addition of a garden you will also want to plan a budget. Your garden may need regular upkeep throughout the year, so it can be beneficial to factor these costs into your budget. Now, it’s time to start thinking about which flowers and greenery you’d like to include. What flowers and greenery are in season, and when? What colour combinations do I like? What texture combinations do I like? When it comes to colour and texture combinations, opposites attract. Stiff greenery tends to pair best with soft greenery, which can provide your garden with depth. As for the colour combinations, you should aim to choose colours that are opposite from each other on the colour wheel. With any colour combination, you should feel free to add white flowers and greenery throughout for accent colours. Spice up your garden even further by adding mulch, garden edging, rocks, stepping stones, exterior lighting, and/or water features. stunning combinations that can brighten any landscape design or lawn! A garden consisting of roses and blue perennial salvia is a perfect example of different colours and textures complimenting each other. Add even more structure to your garden by including lily of the valley or iceberg roses. Create a garden that’s full of surprises. The difference in both shape and colour of this flower combination can truly make your garden and overall landscape design pop. Both veronica and blue perennial salvia are gorgeous on their own, but combined is another story. If you’re looking for a colourful garden, petunias and geraniums might be the way to go! The blue and purple colours of the petunias will coincide beautifully against the stark white geraniums. You can even implement different shades of peach, red, and pink geraniums to keep the colourful variety blooming! Are you looking for a more subtle or traditional garden? Try creating a happy garden with yellow gazania, Dahlberg daisy’s, and white sweet alyssum. The sweet and delicate combination of light yellow, soft creamy white, and vivacious green tones is truly timeless. Once you’ve discovered which flowers, combinations and greenery are your favourite, why not build a layered garden? Plant your flowers tallest to shortest from the back to the front for an ideal depth. Use greenery and white flowers to break up colours, or simply create a bold contrast between opposite colours. Are you always looking for new ways to benefit the environment? Well, your garden is a great place to start. You can create a wildlife-friendly garden by utilizing flowers that benefit insects and other critters alike. You can plant flowers and greenery that will bloom throughout the year. Early and late blooming plants are the most crucial, as these are the times that most creatures have more difficulty finding adequate nourishment. Late Bloom: Cosmos, Cornflowers and Goldenrods. Other flowers that can help benefit the environment, especially honeybees, are lilacs, daisies, and lily of the valley. For more information about implementing a garden into your landscape design, contact our experts at Legends Landscape in Burlington today! Written on Thursday, March 30, 2017.